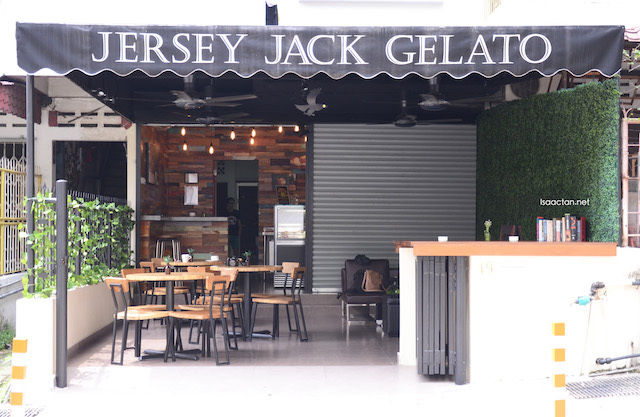 Located along the streets of Jalan Berangan in Kuala Lumpur, Jersey Jack Gelato occupies a lot at the unlikeliest of place, a stone's throw away from the busy streets of Changkat Bukit Bintang and Jalan Alor. Serving artisan gelatos, they have some of the nicest and very unique flavours that I've had in a while. 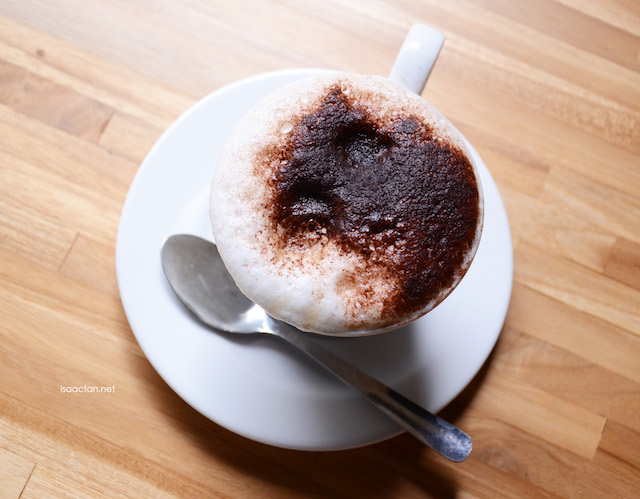 Check out below on what we had when we dropped by one fine afternoon last week. 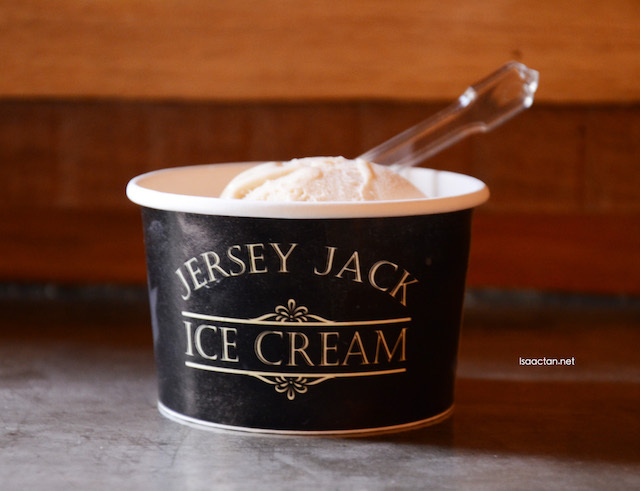 The founders of Jersey Jack did not rely upon overseas experience to develop their brand of gelato. 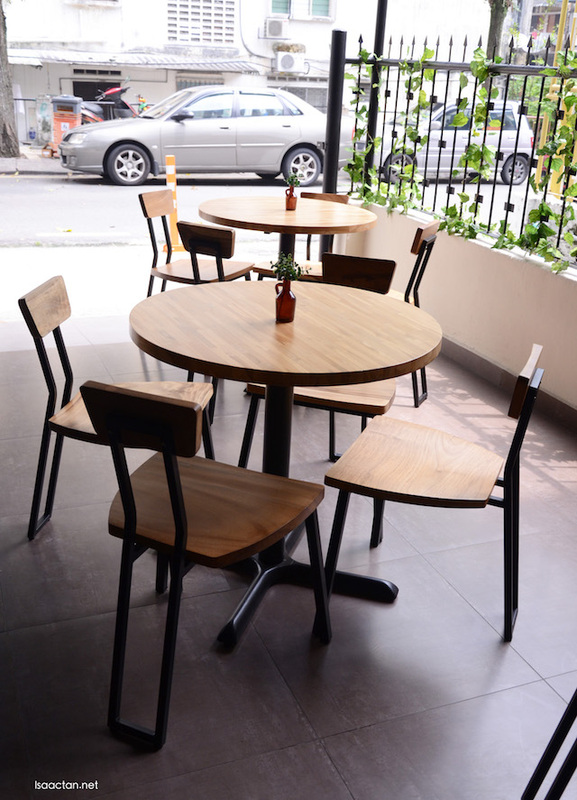 Their vast knowledge will allow the sourcing of only the highest quality local products to produce gelato and gelato flavours that are truly Malaysian. 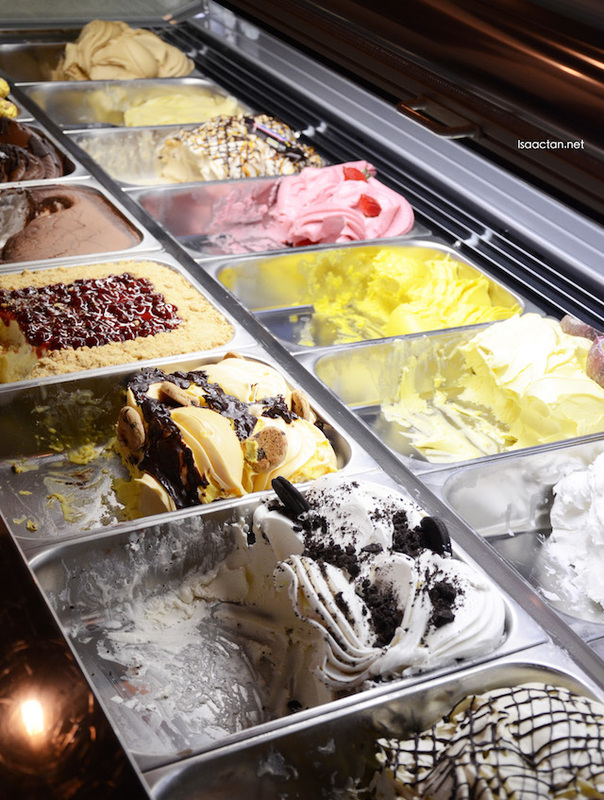 Key ingredients such as milk, cream, sugars, fruit and nuts were all be purchased locally ensuring only the highest quality of fresh gelato and giving maximum benefit to local farmers and retailers. Where many producers use imported powdered milk, Jersey Jack uses only fresh milk supplied by Bright Cow Sdn. Bhd. based in Kuala Selangor. One of my first questions when I reached the outlet was about the origins of the name. Interestingly, the owner explained the name came from the fact that the cow breed that produces the milk used were of the Jersey breed. Jersey cows, which produces really creamy, creamier than your usual cow's milk. The name of the founder's son is Jack too, and Gelato comes from the fact their making gelatos are what they are great at. 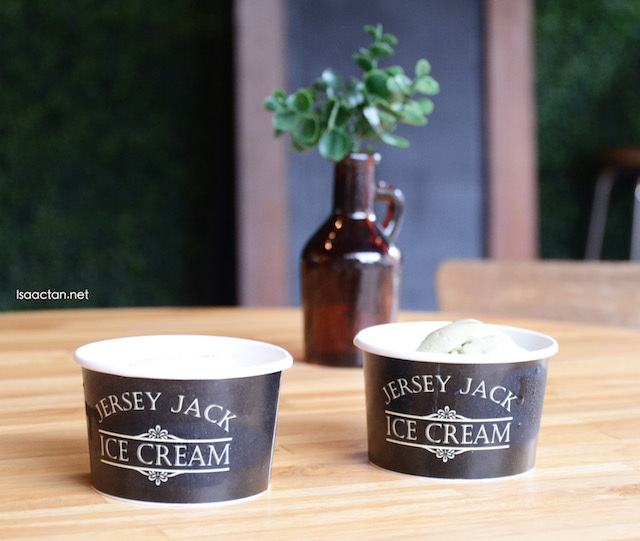 With up to 36 artisan flavours to choose from, Jersey Jack whips up some very unique flavours to popular ones, from pistachio, Amerana cherries, pink champagne, chilli-ginger-lemongrass, Bailey's to rum-raisin, Madagascan vanilla and New York cheesecake flavours. 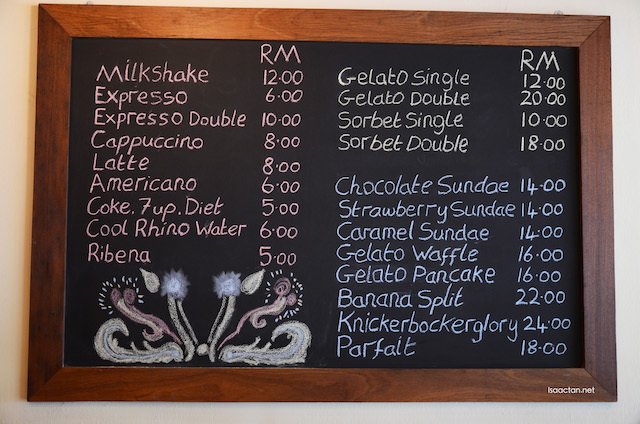 The pricing is pegged at RM12 for a single scoop, and RM20 for a double scoop. 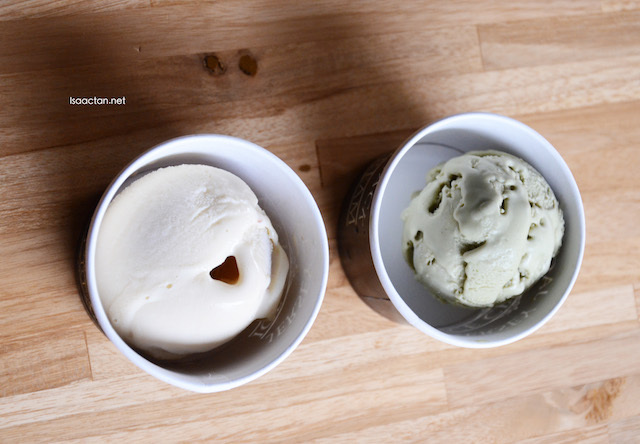 We tried this particular flavour which surprised me, the salmon wasabi gelato. Sounds like a japanese dish than what you would expect from an ice cream. It turned out quite good tasting actually, with a hint of wasabi, and more of the salmon smoky flavour. I find this to be exciting, as it shows the founders are not afraid to experiment in bringing us explosive, unique flavours. Jersey Jack Gelato's are made fresh weekly and all the ingredients are at its best quality, ensuring you get the best. I love how the pistachio gelato tasted, lots of nutty aftertaste. The Pink Champagne had to be one of the more luxurious gelato ice creams available, as they used real champagne infused into the formula. It's nice that customers get to sample each and every flavour available via tester portions before deciding on their orders. Jersey Jack Gelato have a variety of desserts and savoury offerings to choose from, if you want that extra bite to go along with the ice cream. There are Sundaes, milkshakes, waffles, pancakes, banana split, and even Parfait to choose from. 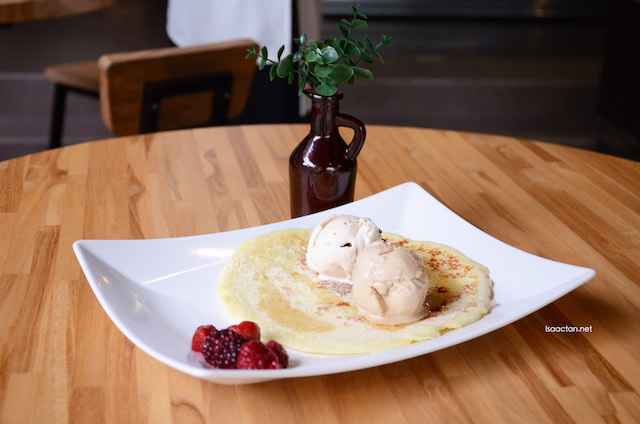 We tried their Gelato Pancake that afternoon, made fresh with strawberries thrown in for good measure. 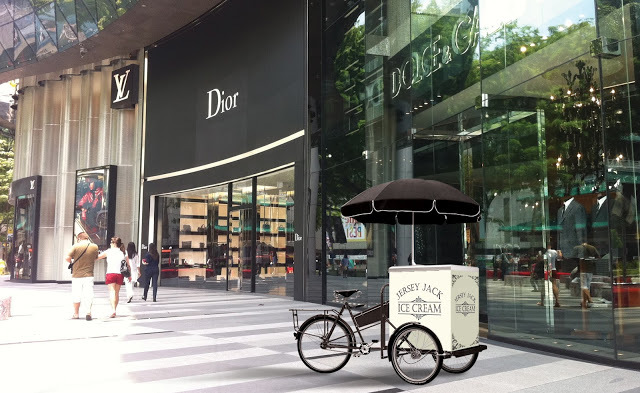 Jersey Jack Gelato is available on mobile carts too, going around Bukit Bintang area and the vicinity. The tricycle is a nice touch, with a mix of vintage, classic design, do look out for them, and enjoy their wonderful gelato ice creams, perfect to indulge in when it's all hot outside. They also cater and provide for weddings, events, birthdays and more. The main outlet offers other specialities too such as sorbets (flavours include coconut with green tea, plus wild berries, mango, basil strawberry, pineapple, passionfruit & more). 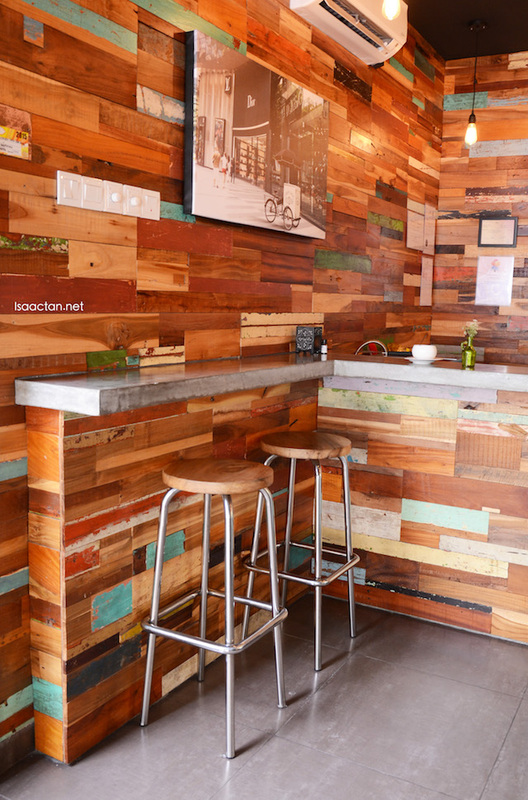 Be sure to check them out soon for your ice cream fix! 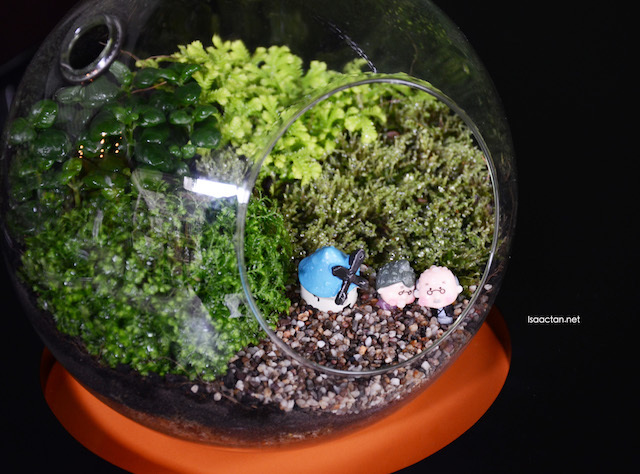 Thank you Isaac for your review here! Can't say I am a fan of gelato but I don't think I would mind it. Nice cart! I love the design of the place and the cart definitely is a great idea. I'm sure my girlfriend would love to try it out! ;-) Thanks for sharing!! I like ice cream, I wanna eat.. 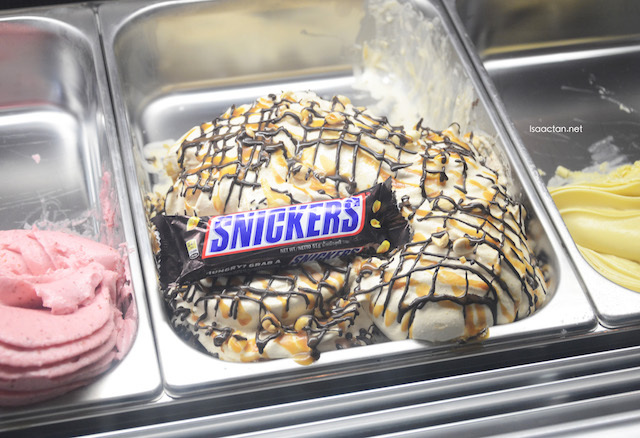 The Snickers flavour is one of it that I want to try when I go there. Looks yummy thou. OMG I sure can help myself to ice cream right now. But is parking easy to find nearby? Nice, but never really know the difference between Gelato and Ice Cream. Can't really tell the difference also. That is one weird gelato that I would love to taste. so pretty the place. feels very rustic homey :D and the ice cream looks soooo good! Gelato is awesome and I should give this place a go Isaac. The selection looks promising, should sample the variety soon.